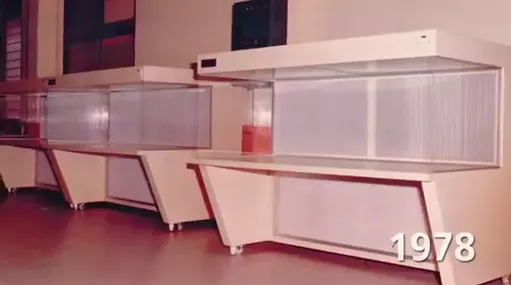 In 1978, Esco was founded in Singapore and began to pioneer cleanroom technology in Southeast Asia. Esco was established to provide clean air solutions for the high-tech industrial and life sciences industries. Since its very beginning Esco has earned a reputation for innovation in the worldwide laboratory and cleanroom industry. From our headquarters in Singapore, Esco directs a highly efficient research, product development, manufacturing and customer service program. With global offices in eight additional locations, Esco products are sold in more than 100 countries through more than 300 independent distribution partners. Esco is a world leader in biological safety cabinets, offering the industry’s widest product range, with thousands of installations in leading laboratories around the globe. Our customers are the world’s leading life sciences providers, hospitals, biomedical and pharmaceutical institutions, and universities. Today, with dedicated people filled with energy and optimism, Esco serves present markets, plans for future markets, and strengthens our position as a global force in clean air and laboratory equipment technology. Our proudest accomplishment isn’t just a complete range of controlled environment equipment solutions which includes Biological Safety Cabinets, Fume Hoods, General Purpose Ovens and Incubators, CO2 Incubators, Downflow Booths, ULT Freezers, and more; it’s actually our new state-of-the-art manufacturing facility. This new manufacturing site doesn’t just represent how far we’ve come since that first laminar flow clean bench. It’s also a glimpse of where are headed tomorrow. Inventor of the cleanroom vertical laminar flow straddle unit for microelectronics production. One of the world’s first laboratory equipment manufacturer to incorporate a proprietary antimicrobial coating – ISOCIDE™ – which eliminates 99.99% of surface bacteria within 24 hours, on the coated surfaces of all equipment. Pioneered energy efficient technologies on biological safety cabinets, including INNOVA™ external rotor motors and UV timers which save energy required for decontamination. Introduced ULPA filter technology to the mainstream biological safety and laminar flow cabinet market in North America. ULPA filters operate at >99.999% efficiency, superior to conventional HEPA filters, and therefore deliver superior protection. Frontier Acela® - ergonomically designed, angled front, high performance low flow fume hood. Low constant volume design reduces energy consumption and carbon footprint. Labculture® Class II (Low Noise Series) - introduced the industry's lowest noise (~50dBA per EN) biological safety cabinets. Lower noise levels improve worker comfort and concentration.